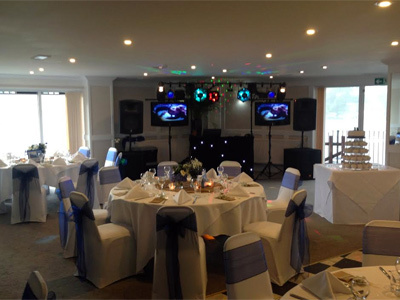 Greenbank Hotel - Hall Hire in Falmouth TR11 - Social Events Weddings Family Parties Function Room. Mobile disco DJ photo booth quotes. These respected DJs all have great reviews and are ready and waiting to help your party at Greenbank Hotel, Falmouth go with a bang! | Get FREE quotes NOW! A very attractive hotel with friendly and helpful staff. The upstairs functin room is very well kept and offers a fantastic view out over the sea. A patio door leads onto a balcony looking directly out. Ideal for weddings, private functions and corporate events. The following DJs and discos all cover the Falmouth area and are suggested by needadisco.com for events at Greenbank Hotel. The following pictures were uploaded by DJs following events at Greenbank Hotel. To give you some idea about suitability, the following events have been or are planned to be held at Greenbank Hotel.